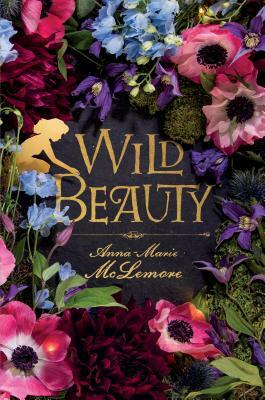 Anna-Marie McLemore‘s lush, sensory YA fiction has been a finalist for the William C. Morris Award and won a Stonewall Honor from the American Library Association. Her new book Wild Beauty (releases tomorrow!) takes place in a magical, predatory garden tended by the women of the Nomeolvides family, so it seemed fitting to have our interview about the book take place in a garden. I met up with McLemore at the National Botanic Garden in Washington, D.C. to look at the various themed rooms (tropical, desert, poisonous plants etc.) and discuss the plants, characters, and world of Wild Beauty. Here is our conversation, edited for clarity. Q: Can you talk a little about your inspiration for the character Fel and his story? Anna-Marie McLemore: Without giving too much away, I’ll say this: I started with his history, where he comes from, his family. And the fact that we sometimes don’t hear the stories of what happens when the farms fail, when the harvest dies, what you do when you’re trying to take care of your loved ones. So that’s one side of it. Another is that there’s a brutal history of child immigrants doing dangerous jobs, jobs that are already dangerous if you’re a grown man, and either the people doing the hiring don’t care or they look the other way. But amid that kind of brutality, there’s also family; I wanted to write characters who were looking out for each other even in a place that doesn’t really want them. Q: It’s a feature of stories categorized as magical realism that the characters accept magic as simply part of regular life. In what way do the characters in Wild Beauty, both from the family that lives in La Pradera and the surrounding town accept magic as part of their world? AMM: The way the Nomeolvides women tend these gardens, the ways that they and their loves are cursed, that’s accepted as part of the lore of this town. But this book is also about what you get made into by rumor; there’s so much talk about these women, everybody else trying to decide what the truth of them is. In response to all that, the Nomeolvides women become their own community. They make their own space. And I think that’s threatening to many watching them from the outside. But it’s how the women push back against the way people see them as a sideshow attraction, how visitors expect them to perform, to entertain. Q: And we see that a lot in the real world. Anna-Marie and Cecilia at a poisonous plants exhibit at the National Botanic Garden in Washington, D.C.
Q: That people who are from marginalized populations—that happens to them more, that if you are not the majority you’re accepted but only in as much as you provide entertainment or only in as much as you can be exploited. AMM: Exactly, you have a role that you’re expected to play. Q: How did you choose the flower names for each of the girls? Q: Does the family ever repeat flower names? AMM: They probably can have the same flower as a relative, but I think, unfortunately, things go so badly for so many of these women that they’re reluctant to repeat names. In this family, repeating a name is, in a sense, to pass on that woman’s legacy. Q: La Pradera, the magical garden setting is so vivid and distinct. If it had a soundtrack, what sort of music would be on it? AMM: Because the women living on La Pradera are so different, the gardens’ soundtrack would cover a range—some Lila Downs, Iron & Wine, Poe, Madi Diaz, Wailin Jennys, and some contemporary classical like Einaudi. Q: If you had a flower name like the characters in this book, which would you choose? Q: What kind of flower books did you use in your research? Are there books that you would recommend (fiction or non-fiction) to readers who also love flowers? AMM: Though La Pradera is very much fictional, I based the botany of the estate on a botanical garden in western Canada, so my go-to books were twin volumes called Annuals of British Columbia and Perennials of British Columbia. Both were invaluable references. To readers who love flowers, I recommend checking out a book about the botany of where you live. If you live in a place that has drought, you can learn which plants survive, which are drought-resistant. If you live somewhere with heavy rain, you learn which plants anchor into hillsides so they’re not washed away. Having that kind of interaction with your own landscape, learning the incredible things that are happening under the ground, there’s magic in that. Q: I know you’ve talked about how you love to visit botanical gardens, which inspired La Pradera. Which gardens would you recommend people try and visit? AMM: Butchart Gardens in Victoria, British Columbia was a huge inspiration, both in its scope and its beautiful detail. Huntington Library in Los Angeles, in addition to being a museum of books and paintings, has spectacular gardens based on different landscapes. For something closer to home, I recommend local parks, which often have gardens ranging from small and meticulous to wide and sprawling. And the grounds around capitol buildings. The capitol in California, for instance, I think has one of every tree that grows in the state. I also really like this one [National Botanic Garden in DC] because it’s part garden and part museum; the plants are carefully labeled and there’s so much information posted. And I loved getting to meet up with you here! Thanks for taking me through the orchids and desert gardens and all the gorgeous plants here! ABOUT THE AUTHOR: Anna-Marie McLemore was born in the foothills of the San Gabriel Mountains and grew up in a Mexican-American family. She attended University of Southern California on a Trustee Scholarship. A Lambda Literary Fellow, she has had work featured by the Huntington-USC Institute on California and the West, CRATE Literary Magazine’s cratelit, Camera Obscura’s Bridge the Gap Series, and The Portland Review. She is the author of The Weight of Feathers, which was a Morris Award finalist, When the Moon was Ours, a 2017 Stonewall Honor book, and Wild Beauty, which has earned starred reviews from Kirkus, Booklist, and School Library Journal.